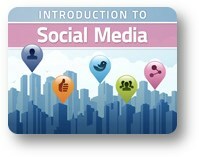 Red Comet, an accredited, self-paced, online high school launches a new credit course on social media. Red Comet launches a brand new course titled “Introduction to Social Media: Our Connected World” as part of its efforts to introduce several new electives that will supplement its existing curriculum. Social Media is a part of everyday life for most students. Many students understand how to use them but very few understand how to mine these platforms to the fullest extent. “Red Comet’s brand new online high school course on ‘Introduction to Social Media’ is a direct result of Red Comet responding to students’ request for courses that address some of the current trends and technologies”, said Ms. Sapna Ganeshan, President of Red Comet. The course allows students to learn the ins and outs of social media platforms such as Facebook, Twitter, Pinterest, Google+, and more. Students gain understanding on how to interact on various social media platforms which is crucial to survive and thrive in this age of digital communication. Students discover other types of social media that they may not have been aware of and they will be able to use these platforms for their benefit—personally, academically, and eventually professionally as well. Social media platforms are not just a place to keep track of friends and share personal photos; this course will show students how to use these resources in much more powerful ways. Complete and rigorous online learning is available from Red Comet. Red Comet’s Online Program provides students with great opportunities and has been the recipient of the highest ratings for student satisfaction in the State of Washington. The program material is presented in a comprehensible way that allows students to get the most out of their time studying. The online high school environment that Red Comet provides draws from many different teaching styles and rewards students with a format that can accommodate all learning styles.